» Young people should "Dare to Dream and Dare to Fail"
After graduation, Thien had a stable job, but all of a sudden, he quitted home in the family's prohibition. Thien went to Thailand in order to pursue the passion in a professional and methodical way. 1. Actually, I have known Bui Huu Thien ( aged 24, Xuan Loc Commune, Phu Loc District) since he was a freshman at Hue College of Industry. At that time, Thien was immature with cards in his hands; after school, he was around the streets for performance partly to satisfy the passion, partly to contribute fun to tourists. Bui Huu Thien had access to the street magic through accompanying his seniors on the performance times; he went online to find basic lessons such as pigeons, fans, coins …, and then accumulated money to buy props in order to train to be a “witch”. According to Thien, no one taught him magic, but he was self-taught. Gradually, he knew how to spread the cards in a soft way, “turn” the paper into money, make pigeons come out from the petals. Until now, besides big cities such as Hanoi, Ho Chi Minh City, the street magic coming from young people in Hue has not been worth mention although Hue streets by night has a lot of potential for magic development. I often contacted young magic-lovers in Hue, but most of them were not impressed. Most of the magic performance acts were often just in the rudimentary form and did not reach the street art standard. And neither did Thien, although joining in a street magic club, at that time he just jollied up Hue with simple entertainment acts. "In my student days, sometimes because of the craze for magic, I neglected my studies, wandered the cafes with the offline performances together with the seniors to be instructed. Although only a member of the small magic club, I was well known because then, except ours, almost no street magic club did regular activities," Thien said. Few know that to access magic, Thien had to trade quite a few things. As Thien said, he not only neglected his studies but also quitted a dream job for many people after graduation. The young man also encountered many difficulties on account of the prohibition from relatives and family. "Most of my family are government officials. 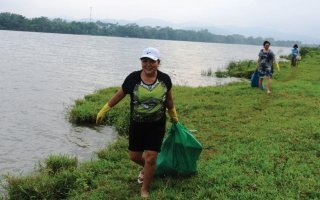 After graduation, I was admitted to a petrol company, and it was also my parents' dream, but after a short period of work, I realized that this job was inappropriate, and I abandoned it to my family's great disappointment,” Shan said. 2. Meeting Thien again, after more than two years of training in Thailand, the young man looked much more mature. Thien wore earrings, talked constantly in English and body language. That Thien talked a lot about the magic forced me to interrupt by asking the old but new question: “Ok then, has the family agreed with and supported the path you pursued yet?". Thien recollected in silence, “Now rethinking, I feel sorry for quitting home. After 6 months of being settled in school and accommodation in Thailand, I returned to Ho Chi Minh City. 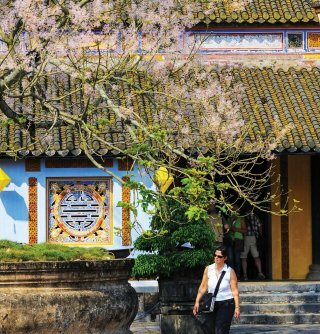 At that time, my mother and sister flew from Hue to meet and advise me to take care of myself, and this time they supported the path I chose. Then, I apparently burst into tears, and thought I should try harder for the passion and the whole family. " 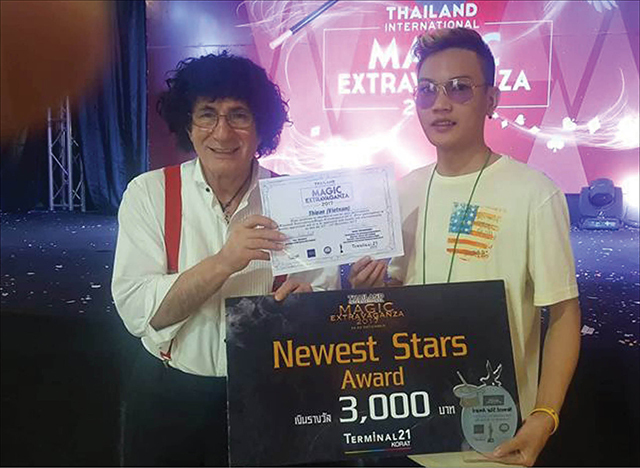 During the refresher course in Thailand, in addition to learning, Thien also received the shows and joined in many competitions in the countries such as Cambodia, Malaysia, South Korea, China and so on. 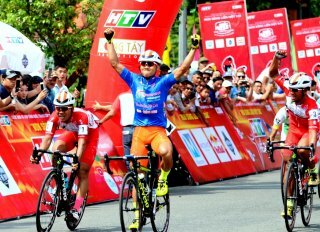 "In Vietnam, very few people know my name, but in Thailand or Malaysia, Little boy (Thien’s stage name) is widely known, " Thien boasted. 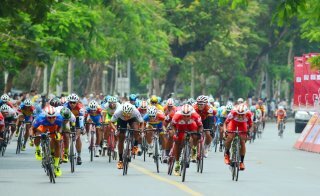 Bui Huu Thien talked about the job like this: for the same performance content, the performance way differs from one performer to another. Most importantly, the idea should be new and unique. Learning magic is lifetime; each performance act is a story, so one performer differs from another. Creativeness is quite important, making a difference and deciding the success of the performance. "Now I do not learn the street magic but the stage magic. Each performance act has to meet many criteria such as technique, entertainment music and so on. Each magician needs to have his own originality and excellent acts,”said Thien - “What are your originality and excellent acts?” "They are ‘craziness’ and my ability to perform excellently with birds," Thien added. 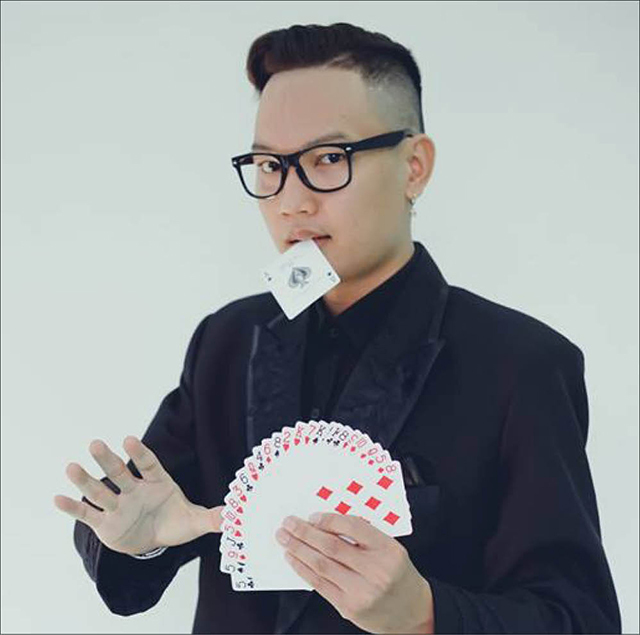 In Thailand, Bui Huu Thien contacted, learned a lot from many world famous magicians such as Toni Hassini, Mr. Mamada, Robert Sode ... and even the famous Vietnamese magicians such as Palmas Nguyen, Nguyen Viet Hoang (stage name J) and so on. This helped him improve the necessary skills. Ignoring the invitation of an event organizer in Thailand with attractive salary, Thien returned to Vietnam, opened a magic instrument shop and built a small stage to practice and teach magic to children and enthusiasts in Hue. "During my study in Thailand, I learned magic while learning English. 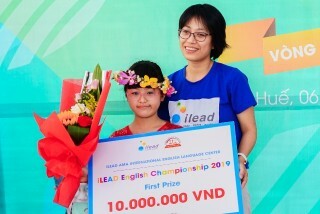 Back to Hue, in addition to the shows, I open the magic class in combination with teaching English at home and at some English language centers. In Thailand and Malaysia, I took part in many competitions and received many big and small awards, but the dream of holding a doctorate in magic has not been achieved. Until now, my family and relatives have been very supportive of my finances and spirit, so before back to Thailand to sit the exam for a PhD in magic, I will try to open a mini show to perform and teach magic in Hue so as to serve the public and people with the same passion, " Thien said.